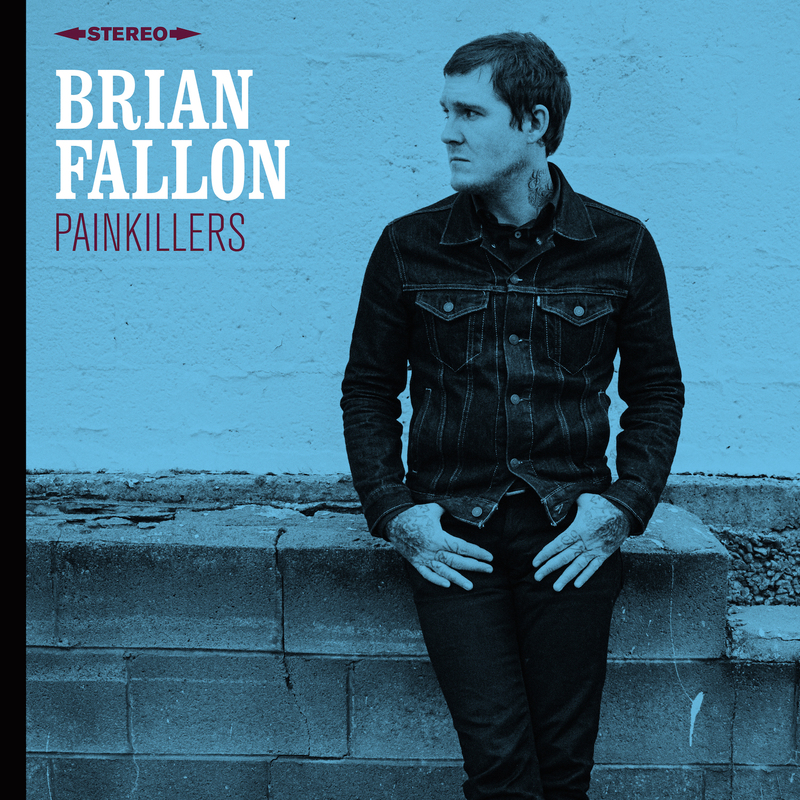 The Gaslight Anthem’s Brian Fallon releases his hugely anticipated debut solo album Painkillers on March 11, 2016 on Virgin EMI Records. The album is available for fans to pre-order, with newly unveiled song “Smoke” available as an instant download. Also available to download and stream is the lead single from the album, “A Wonderful Life”. Fallon recently released a video for the single. Directed by Andrew Donoho, the film was shot at the historic Paramount Theatre on the beach of Asbury Park, New Jersey and is interspersed with clips of people from all other walks of life. Painkillers marks the first solo album from Fallon, known far and wide as singer/guitarist of The Gaslight Anthem, as well as such acclaimed outfits as The Horrible Crowes and Molly & The Zombies. Produced by studio superstar Butch Walker (Taylor Swift, Frank Turner, Keith Urban), the album was recorded earlier this year at Nashville’s Taxidermy Studios with Fallon fronting a crack band that includes Walker, Molly & The Zombies bassist Catherine Popper (Jack White, Ryan Adams & The Cardinals, Willie Nelson) and drummer Mark Stepro (Hayes Carll, Ben Kweller, Jackson Browne). Painkillers once again affirms Fallon’s elemental gifts as a songwriter and storyteller, booming with insistent imagery, narrative craft, and the extraordinary emotional acuity that has informed his music since the very start. Fallon will herald Painkillers with a major series of live dates, accompanied by a stellar combo comprised of The Gaslight Anthem guitarist Alex Rosamilia, The Horrible Crowes’ Ian Perkins and the aforementioned Catherine Popper. The shows get underway Thursday, January 7th at Alexandria, VA’s The Birchmere and continue throughout April. Additional live dates will be announced soon, including a full-scale world tour following the album’s release. The Gaslight Anthem announced plans this summer to go on a hiatus following a massively successful European tour that culminated in a remarkable headline show at London’s Shepherds Bush Empire and emotional appearances at the UK’s legendary Reading & Leeds Festival. Get Hurt, the band’s widely acclaimed fifth studio album, made an explosive #4 arrival on theBillboard Top 200 upon its 2014 release.